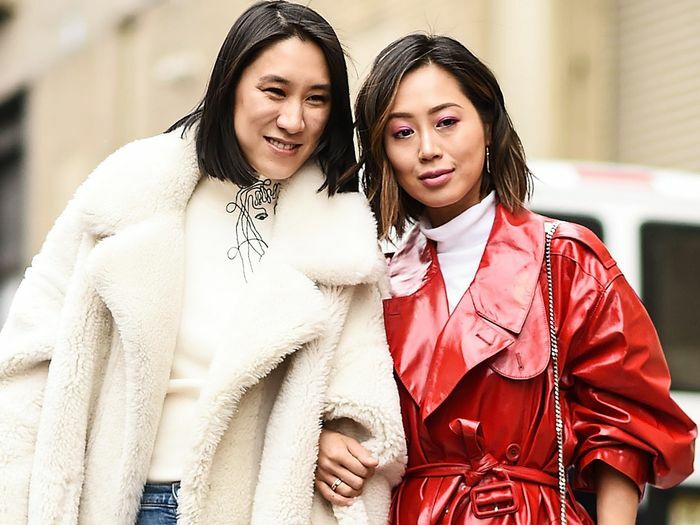 Eva Chen on Growing Your Instagram: "It's Not Enough to Take Pretty Pictures"
It's the age-old question: How do you get more followers on Instagram? Well, two of the platform's most successful users, Eva Chen and Aimee Song, just chatted about that very topic, so you'd better believe we took notes. On her YouTube channel, Song interviewed Chen, the director of fashion partnerships at Instagram, and we came away with the below tidbits from their chat. 1. Be original and be yourself. "There is room at the table for everyone. … Talent is not a finite thing," Chen says in the video. "The most important thing for new bloggers, writers, or anyone in the creative class is to have an original point of view. It's not enough to take pretty pictures anymore. Maybe you take pretty pictures, but it's from a really unique point of view, like you only do backstage, or you're a really amazing writer. … Everyone asks me, 'What's the secret, Eva? You work at Instagram.' I say, 'Just be yourself.' It's the most basic advice." 2. Show behind-the-scenes glimpses. Chen suggests posting a photo and then showing a behind-the-scenes look at the making of the image on your Instagram Stories. 3. Add a sense of humor. Chen explains that funny captions can be successful. Her example caption: "This might look like the perfect photo, but it took 4 hours and 23 minutes, and being a blogger is hard." 4. Use hashtags. "Fashion people sometimes don't like hashtags," Chen says. "Hashtags are a great way to tap into a community. I have a friend who is a food blogger. She had 3000 followers and is now at 120,00 followers by using hashtags. Find your community and be part of it." 5. Tap into the community. "Be part of the community on Instagram," Chen says. "Mention people, tag people, like other people's posts. It drives me crazy: People tell me it's not cool to like other people's posts. … Don't be afraid to talk to other people, reach out to people, and collaborate. Gucci has raised the profile of so many illustrators and artists from Instagram." 6. Avoid clichés. Chen talked about the prevalence of images like avocado toast and lattes. "What does that say? Everyone has seen that picture," she says. You can catch Song and Chen's full conversation below.